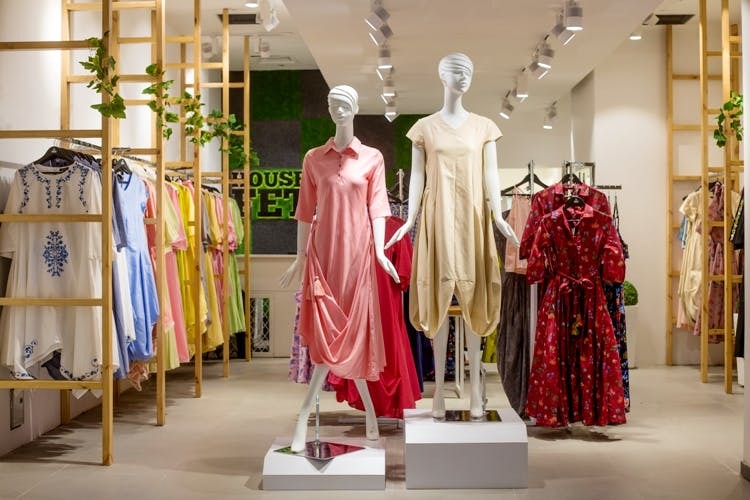 House of Fett just launched its second store at DLF Promenade with their new collection. The store stocks up the hottest international trends that all have an identity of their own. If you have been waiting to stock up your wardrobe with chic boho outfits, this is could very well be the reason to head here and shop like crazy. House of Fett’s outfits have a touch of minimalism and an attractive fusion of Western and Indian trends. The brand's fast moving fashion seems to cater to a large audience through new silhouettes and designs that are timeless. They have a diverse range of fusion-wear apparel line with lots of dresses, gowns, tunics and tops for women. Head to their store in DLF Promenade Vasant Kunj or DLF PLACE Saket and shop away. Where: Ground Floor, DLF Promenade, Vasant KunjTo catch up on more exciting updates from House of Fett, checkout their Website, Facebook and Instagram page.